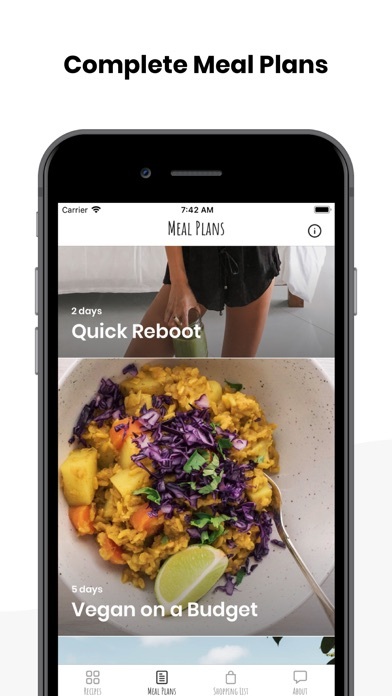 I went through a lot of meal planning apps to find one that I liked, like almost all of them in the App Store that had vegan options and this one was by far the best! 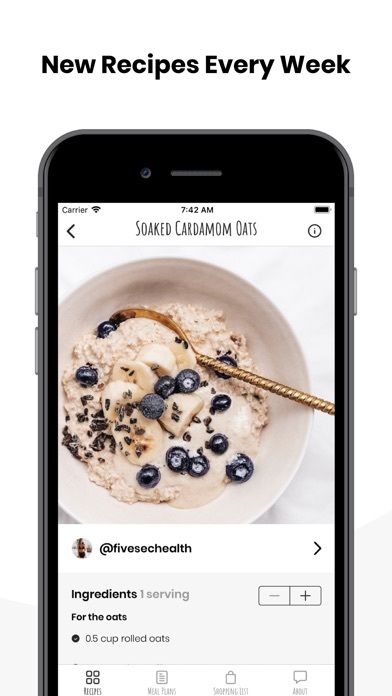 I like that everything is vegan, healthy, you can change the serving sizes (which is great for me because I meal prep one meal for M-F), you add what you’re making to the shopping list, and now nutritional information is available! Oh and the recipes are delicious and the photos are beautiful. I really love all of these recipes and the Fivesec health blog and insta there is just a lot more locked items than unlocked. I totally understand why there is in app purchases, I just wish it was a more even amount of both. This app is my absolute go-to! I switched to a plant-based diet and had absolutely not clue where to start. 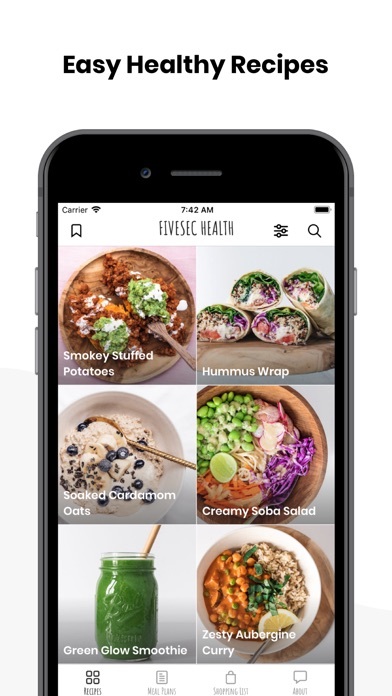 I stumbled upon the FivesecHealth Instagram and loved the look of the meals so decided to give the app a try. I was so pleasantly surprised! 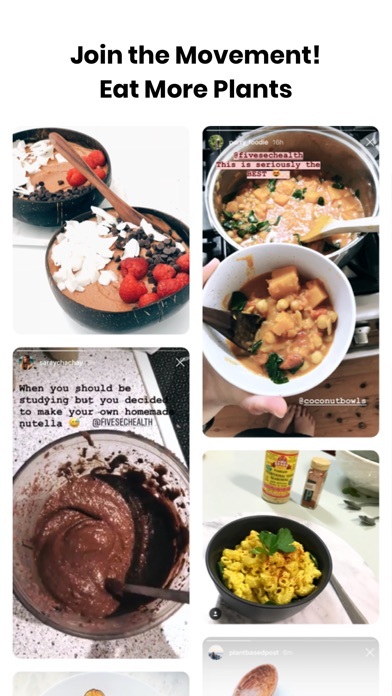 It’s super user friendly, the recipes are delicious (the simple bean chilli is a household favorite) and you get a really good spread of choices (breakfast, snacks, lunches, dinners, treats etc.) 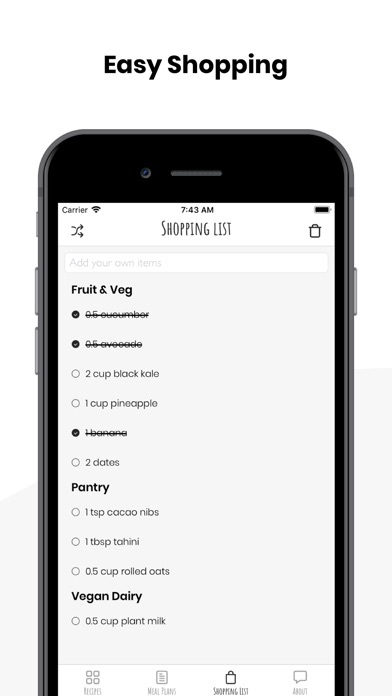 Also the shopping list feature is the best! All round awesome app and for a great price. If you’re thinking of going vegan, start here! 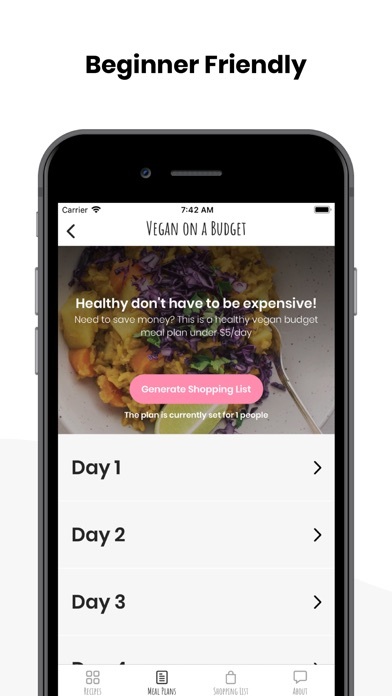 If you’re already vegan, this app is definitely worth adding to your repertoire of meals!! Amazing, simple, and delicious plant based meals! So happy I stumbled upon this little app! Don’t make the mistake of wasting your money on this like I did. PUSH / COME ON PUSH IT.